Changing the stock speaker can result in a significant change in tone. However, you need to understand the specs before attempting to buy a replacement speaker for your guitar amp. Similarly, you cannot connect a head amp to an external cabinet without knowing the rating first. Guitar speakers are not designed to produce a flat response like audiophile speakers. Hi-fi speakers are flat because you want to reproduce the original recording as much as possible. Guitar speakers, on the other hand, are used to create music, and colorization contributes to the resulting tone. Tone colorization occurs when certain frequencies of the original signal are either boosted or cut, changing the shape of the original sound. When choosing a speaker, it is important to determine the voicing you want to achieve. If you want the clean tone from vintage Fender amps, then look for American voicing. If you want modern Marshall or Vox sound, then look for British voicing. 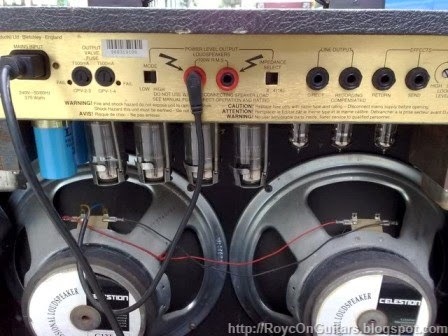 Among the popular brands, Celestion is known for British tone, and Eminence for American tone. Sound is produced by the speaker cone pushing air. A bigger cone will push more air than a small one. An 8” speaker will push less air, resulting in a thinner sound. A 15” speaker, on the other hand, will push more air, resulting in more bass. Imagine what four 12” speakers can do! If you can afford only one amp, choose one with a 12” speaker. Do note that bigger speakers come with big magnets, making them much heavier than a small one. When replacing existing speakers, take note of the depth of the stock speaker. Some speakers are deep and may hit other components when used as replacement. Usual speaker sizes are 8”, 10”, 12”, and 15”. Speaker distortion refers to the speaker sound breakup when pushed hard and beyond the clean output threshold. When done in a controlled manner, the resulting distortion can enhance the tone from the amp. You cannot force speaker breakup if the amp’s power rating is much lower than the speaker’s power handling capability. 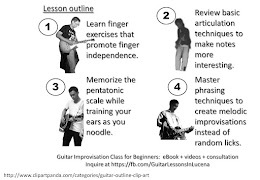 Some guitarists use speakers with lower power rating to create early speaker breakup, but this can result in a blown speaker if not handled carefully. Speaker breakup threshold does not depend on the power rating of the speaker. They are dependent on the materials and design used by the speaker. Two different speakers with 50 watt rating can have different breakup thresholds. It is quite important that the amplifier impedance match the speaker impedance. An 8-ohm amp must be connected to an 8-ohm speaker. A mismatched pair can result in the amp having a hard time driving the speaker, or a speaker blowing because it is driven too hard. A 50 watt, 8-ohm amp at maximum will put out only 25 watts to a 50-watt speaker with 16-ohm impedance. Conversely, a 50-watt, 8-ohm amp will put out 100 watts to a 50-watt speaker with 4-ohm impedance and probably blow it. Impedance matching is straightforward for single-speaker cabs. However, there are several factors to consider when using multiple speakers in a single cabinet. What sounds bigger, a single 12” speaker or two 10” speakers? Installing two speakers in a single cabinet results in more volume of air being pushed, resulting in a bigger sound. How they are wired, however, can affect the effective impedance, and power rating. You can wire your speakers two ways, series or parallel. Series wiring is if the positive terminal of speaker A is connected to the negative terminal of speaker B. The free terminals of each speaker are then connected to the input jack’s positive and negative terminals. In a series connection with the same impedance for both speakers, you can get the effective impedance by multiplying by two. In a parallel connection, the positive terminals of each speaker are connected to the positive terminal of the input jack. Similarly, the negative term terminal of each speaker is connected to the negative terminal of the input jack. 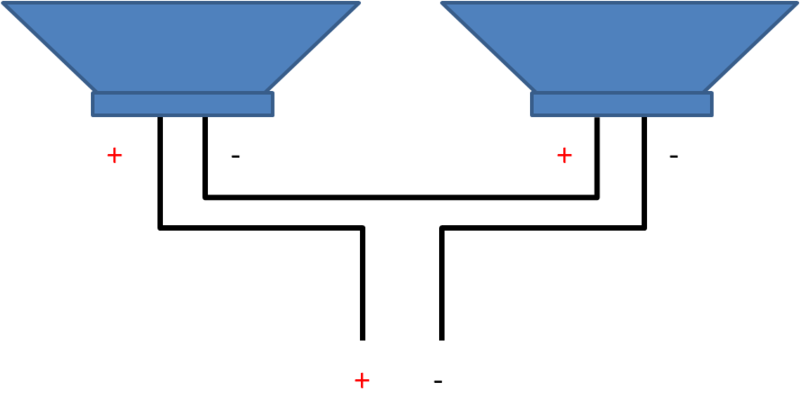 In a parallel connection, the effective impedance is computed by dividing by two. The effective power of a cab with two speakers is computed by multiplying the power rating of each speaker by two, if they have the same rating. If the speakers have different power ratings, multiply the lower rating by two. Do not use instrument cables to connect the amp to the speaker cabinet. Though the jacks look the same, the current passing through the wires is much greater and can melt the wires of an instrument cable. A gauge 14 speaker wire is safe for this purpose. Very informative as usual, Roy. Bass players now gravitate towards multiple 10 inch speakers giving a more tighter, more defined bottom. A few years ago, the bigger the better (15 inch). Things change. Impressions change. It's a very subjective world. I agree that 10" speakers are more balanced and with a tighter bass. I would have wanted a 2x10 instead of a 1x12 if I have space in the house.